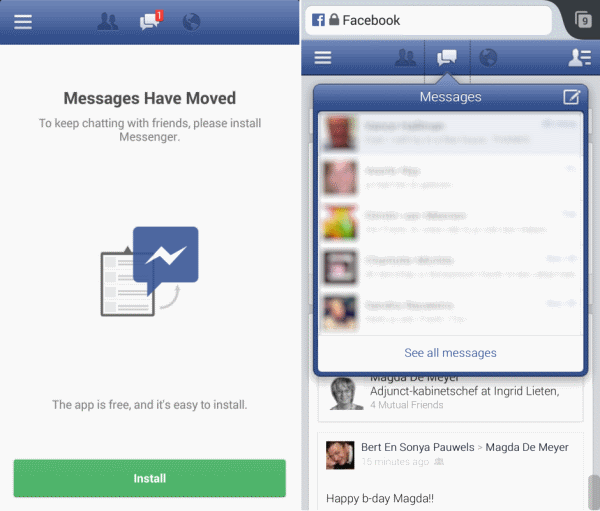 And now off to Facebook security settings, to enable login notifications & approvals. And although I did activate “login notifications” at that point, I did not enable approvals (for reasons I don’t remember, maybe I was just being lazy). Fast-forward to yesterday evening, when I received a mail from Facebook that stated that my account was temporarily locked because my is was logged into from a location I had never used before. I immediately changed my password and finally enabled “login approvals” this morning as well. “Approvals” sends a security code via SMS when logging in from an unknown location, which you’ll have to enter before effectively logging in. 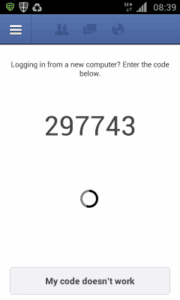 I was pleasantly surprised to see Facebook added a Google Authenticator-like code generator to their Android and iOS apps that you can use to generate a security code as well. Adding the extra security of login approval is easy enough. If you’re on Facebook or Google, you really should consider enabling those (with or without their respective smartphone-based security code generators). 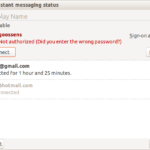 It looks like someone logged into “Rtgw_xmpp_username_password_login” on Wednesday, November 14, 2012 at 9:04pm. Not 100% sure if this was a real login attempt or a false positive, but apparently I’m not the first one to receive such a warning. This entry was posted in android, lang:en, security, Technology and tagged 2-step, account locked, code generator, facebook, facebook chat, google authenticator, login approval, Rtgw_xmpp_username_password_login, two-factor authentication, xmpp on 15 November 2012 by frank. Although web security is something I like to dabble in, I can’t honestly say it always is on the top of my mind. Up until an hour ago, access to the vast amount of information that Google manages for me (including access to my Google Android account) was protected by nothing but a password. A rather strong password for that matter, but it wasn’t entirely random and it has been the same for quite some time now. As access to important online services such as Google should ideally not only rely on just a password (session hijacking anyone? ), I activated Google 2-step authentication. What this means is that access to Google (Mail, Docs, …) is now also limited to authenticated devices. 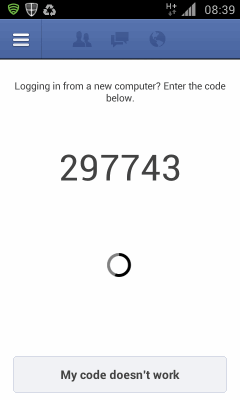 If I try to access Google from another computer, I’ll have to authenticate the device using an SMS-challenge or a code generated by the Google Authenticator application on my Android-phone. So yeah, you can have my password now. Theoretically. If you really insist. But even if I do decide to give it to you, you still won’t be able to access my account. How’s that for peace of mind? And now off to Facebook security settings, to enable login notifications & approvals. This entry was posted in Internet, lang:en, security and tagged 2-step, authentication, facebook, google, login, password, two-factor authentication on 23 November 2011 by frank. This tells NoScript to allow Facebook scripts (you know, to visit facebook.com), but to stop them from being included in other sites. I guess with NoScript’s surrogate scripts one might even be able to replace Facebook’s Like-widget with one that just shows the old-fashioned (and harmless) share-button. Now wouldn’t that be fun? 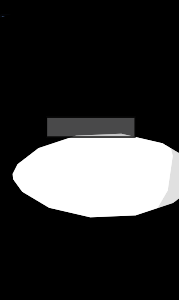 This entry was posted in howto, Internet, lang:en and tagged abe ruleset, facebook, ghostery, like button, noscript, privacy on 5 October 2011 by frank. I’m not a social network expert by any measure, but it seems to become clear that although the initial enthusiasm among the geek-crowd was big, Google Plus isn’t cutting it in the real world. I don’t have a Plus-tab open in my browser any more and when I do go Plus, there isn’t a lot going on in my circles which I want to participate in. Compare that to the way Yammer took off at the company I work for; in less than a months time 800+ colleagues (out of approx. 1500 employees) joined and we’re getting to know new colleagues, discussing more or less work-related topics (1500+ messages) in the open or in multiple interest-specific groups (15 at this moment). Good times! I don’t know how Yammer is doing in other companies in Belgium (and Europe by extension), but to me is seems that Yammer succeeds where Google Plus is failing; bringing together a group of people (in a more or less “private” environment) that share a common context but who didn’t share a social network before and allowing them to engage and to create engagement. Google Plus might be neat from a technology & privacy point of view, but it essentially was (and still is, I guess) a “me too” exercise, trying to occupy a market that has already very successfully been taken by Facebook & Twitter. And yes, Yammer does have an API. This entry was posted in e-life, Internet, lang:en, rants & raves, werk and tagged facebook, google plus, twitter, yammer on 14 September 2011 by frank.